Information about how to watch RTÉ from outside Ireland. Make sure you read the updates below. If you are an Irish television license holder, and you happen to be abroad on a holiday or for business there isn’t any way you can access the programs you’ve paid your €160/year license fee. With services like the BBC iPlayer you can download the content in advance of your trip, and then watch it while you are travelling. RTÉ’s Player currently doesn’t have this feature where you can selected to watch content later. Instead you will be pushed to the international version of the RTE Players offering. This international player is a watered down version of what you would see when in Ireland, while it’s still functional it’s just not the same as what you would get when being physically in Ireland. This version of the player only shows a limited content, such as the Six One news or Nationwide and a selection of the in house produced content. For live content or for showing the GAA championship then you are simply out of luck. RTÉ also fail to offer a paid option like the BBC international, here the BBC give access to their content for a monthly fee which can be watched in 11 European countries: Austria, Belgium, France, Germany, Italy, Luxembourg, The Republic of Ireland, The Netherlands, Portugal, Spain and Switzerland. If you are away then you either have two options, wait until you get home and hope that it’s still on the RTE player, or you can use a proxy for your computer. This proxy will redirect your internet traffic through Ireland, and will appear for all intents and purposes that you are actually in Ireland. We have compared proxy offerings for a few companies that will allow you to do this. Each of them work in a similar way, where you buy access on a month by month basis. One month will probably be enough for you while you are away on your trip. Then you need to following their simple instructions to configure your Mac or Windows PC and away you go. You will be able to stream the All Ireland finals from the comfort of your hammock in Spain or while you are doing your visit to London. You can get a Irish IP address for less than €7 and be online watching TV in 10 minutes. You can watch Irish TV online via this streaming website. The easiest way to watch RTE is via the SmartDNS option. It takes about 3 minutes to set everything up, and we have guides to show you how to change your DNS settings. Here is a list of what Irish channels we were able to test & what which worked. We were not able to test if UPC on Demand TV or Sky Go worked, but if they do please let us know in the commends. We have put together a full list of links to what Irish channels you can view online. update : 28/2/2015 : We have added a DNS Status page of what systems work with what services. update : 25/2/2015 : there have been some reports of Overplay SmartDNS having issues with the RTE player. 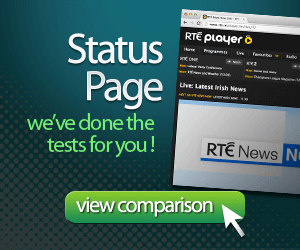 update : 7/11/2014 : to watch Love Hate on RTÉ you can use OverPlay’s Smart DNS. update : 7/09/2014 : from reports this tip above should still work for the Tipperary v. Kilkenny senior hurling final. It costs about €7.50 ($9.95). Alternatively you can watch the game on GAAGO for €14. update : 1/09/2013 : the tip is still working for the Kerry v. Dublin senior football final. update : 25/08/2013 for information on the Mayo v Tyrone game, see this post. 79 Responses to "How to watch RTÉ online"
As keen followers of all aspecxts of Irish life and culture, we are very keen to access all RTE TV channels, including 1 and TG4. We used to have access when we first got Sky TV. Is this no longer possible? We would be happy to pay for these channels. We listen a lot to RTE radio through Sky. I should be most grateful for your advice on this matter. Hi Duncan, currently the Irish channels (including TnaG / TG4) stream online. RTE offer steaming and a catch up service. If you don’t have an Irish IP address you will probably be blocked from accessing most of the content. Thanks for this helpful information. I’m away skiing at the moment, but I wanted to make sure that I was able to get some of the 6 nations games, and with a bit of fiddling about, it worked for me. Thanks for your help. Now back to the slopes with me. Michael it is possible to see the games on RTE or BBC ( personally I prefer th BBC’s 6 nations coverage). I use hidemyass, it costs about $80 a year if remember, and allows you to change your IP to an Irish one or UK one. And they have a money back guarantee & helpful support. What are you using now ? Something free ? I found that the free proxy I used was unstable, ESP. Around the times when I wanted to watch something live. Great ! thanks for the tip Jman. I got HMA working. Just not sure if the speed is always good, but that might be the speed of my ISP here in Brazil. I did find that the RTE feed was superior to BBC. I visited my brother in Germany recently and tried to watch 6 Nations on RTE using HideMyAss. Complete disaster. Just doesn’t work, borders on a scam. Three seconds of play followed by twenty seconds of freezing. Can’t understand why the “Hi it’s Paul” popup is promoting it. Getting paid to plug crap I suppose. Sorry to hear you couldn’t get HMA working. They offer a 30 day money back guarantee so you could ask for your cash back. There are a few reasons as to why it didn’t work, maybe the speed from HMA, or your brothers connection wasn’t fast enough. In these cases I’d suggest trying http://speedtest.net/ before and after connecting to make sure that you are getting speeds of over 2MB/s. The pop up, that you saw is indeed an ad, which we get a % of the sale if someone buys they are currently running an offer. We’ve used HMA for about 11 months, and all the other ones that are reviewed on the site. There are lots of other suppliers, but we only recommend 4, they all offer pretty good customer service, so you should really contact them. I would recommend testing the connection before a live game, to avoid disappointment. 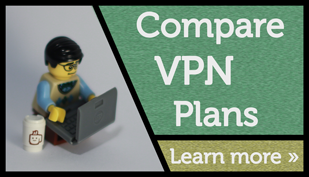 How easy is it to set a VPN up ? I’m traveling next week and want to access the same websites I visit at home. Hi Mike, you can literally set one up in less than 15 minutes. If you are using a Mac the setup is really straight forward, and some of the providers supply programs that can configure your system automatically. It’s definitely something that should take less than 15 minutes though. while in brooklyn set up overplay for my wife, it worked fine for a while, just now though it says dermot’s garden content is not available in your region. Has RTE indeed figured this out ? any tips ? Hi Dave are you using the openDNS or the VPN option from overplay ? I’ve had issues with the VPN client, but the OpenDNS where you change your DNS settings on your computer does work. In fact I just checked it there from Boston. A good check is to see if you can view a non-RTE produced programme, like Home and Away, because some programs like the Late Late Show are open for people world wide to watch. I’m having problem. I have been using HMA vpn for a year now. I have always been able to access the rte player. But now for some reason it keeps goin to the international site. The tv3 player still works perfectly though. Has RTÉ changed something or that. Have you tried it with the RTE app too ? or with the RTE sports player page ? Does Aertv.ie ? I changed to overplay as my hma was up it works perfect now. Did you get the Overplay VPN or DNS? Hi Dave, I went for the VPN. It’s a little easier to turn it on or off (which is handy when you are using it with an iPhone or iPad, as changing the DNS settings for the SmartDNS is a little bit more fiddely). Cheers Paul, I’ll give it a try. I want to watch RTE 1 and RTE 2 in New York so we can watch the GAA championship which starts May 19, what do you recommend? I would recommend hidemyass or overplay. Both have a money back guarantee if you fail to get it to work on your computer, so there isn’t really a risk. I guess it’s better than getting up in New York to watch the games early on a Sunday morning ! Should I try the SmartDNS first? The new computer is coming today and I want to see if I can watch RTE 1 tonight as a test. SmartDNS is cheaper, so if price sensitive,then yes. I use the VPN for my iPhone / iPad / computer when traveling and using open wifi networks to protect myself. So if you need this then I’d go for the VPN. Hi Derek, I’ve been using them for almost 2 years and I’ve never had any problems. Open a support ticket and you’ll see how friendly they are. Just moved to Germany and was hoping to use HMA to view the RTE Player. It appears that RTE have blacklisted HMA’s Irish IP addresses and as a result only international content is available on the RTE Player. This was investigated by both myself and HMA, who confirmed. So not really an option for RTE access. HMA appears to work for AerTV, TV3 and TG4. So must take a look at Overplay, or if anybody had some other suggestions (i.e. how to set-up Tor for Ireland or other services). It seems the same with overplay. can only watch international site for rte. but the 3 player etc work fine. so has anyone got any other ideas? Hi I’m goin south America for a month with my iPad and was wondering can I watch the Gaa matches on rte live.i will be in rio, buenos aires and Santiago . Wat type of wifi wud I need ? I tested overplay today, 27/08/2013 from Germany, and I was able to watch RTE live and some of the recorded programmes like Home & Away and Friday night dinner (please don’t laugh). I have the VPN option, but it also worked on the OpenDNS too (which is cheaper). Has anyone else seen an issue with using aertv with overplay.net vpn? I get the video for about 30 secs and then it switches to audio only? is that a problem with my vpn speed – internet speed or aertv? Any help appreciated – big hurling game this weekend! Hi Craw, I don’t have any issues, using Google Chrome & Overplay OpenDNS for Aertv. What are you using ? I always use RTE player to watch shows i have missed unfortunately lately it has stopped working for me and i can’t watch any programs! I have tried 4 different web browsers but I still can’t seem to watch anything! Plus i’m living in Ireland so i shouldn’t have a problem! I am missing all my favorite shows and this might sound sad but its very distressing! What do you think is wrong? Thing is my friend could watch it on his laptop I couldn’t on our desktop at home or my laptop! RTÉ Player Love/Hate is available in Northern Ireland but some people have an IP address registered to Great Britain which means they are accessing the international version. You will need to contact your ISP to find out more…. RTÉ Player Love/Hate is available in Northern Ireland but some people have an IP address registered to Great Britain which means they are accessing the international version. You will need to contact your ISP to find out more…. How do i sort this out!! anyone!! RTE Player App. Anyone know how I use the app via an Irish proxy? I know how do to set up a proxy in a browser as I already have a proxy IP address. But how can I make the app use the Irish IP? Aidan, as far as I know a proxy won’t work with the app on an iPhone or iPad, is that what you are using ? A proxy only runs on a level of the browser. What setup are you using ? Is there a URL for the RTE newreel loop. I want to embed this in an XML page accessed by a signage device. The device is capable of playing audio and video streams, HTTP, RTSP, and .ASX streams. I have it playing a skynews loop but I ‘m looking for a url that sources the RTE news loop, if it exsists. I’m travelling and I’m currently in Australia. I need something that will allow me access to my bank, doing the lotto, my bookies account and watching some sport but especially Cheltenham when it comes round in march. I use a mac so safari compatible is important and I’d also like to be able to switch between my current and Irish ip address without too much hassle so, for example, a program that allows me a ‘one-click’ option (if possible) from my current location to using an Irish ip. What service do do you suggest ? Tried HMA, Astrill and OverPlay. Found OverPlay best and am using their SmartDNS with superb results watching RTE, BBC, Netflix etc. How to get rte live on pad in London ? Just wondering, would overplay work to overide the sky go ireland and england restrictions? I am currently living abroad and just set up a sky go account using dads sky go account from home because of the country block issue. Also, would the quality be decent if I hook up to the tv using hdmi? Desperate measuers here as the the new astra 2e sat just came into opperation here which resulted in me losing rte and bbc etc and the rest of europe are feeling the ssame im sure..feck!!!! I used http://www.theskydoctor.com to install the little black box connecting the broadband on the land line to the TV. I have over 70 channels including SKY Sports & Movies, BBC, ITV & RTE. Assuming you have broadband, sign up to one of the VPN’s – I use http://www.overplay.net – and use your laptop in a manner as if you are back ‘home’ with no geolocation restrictions. Yes, you can watch SkyGo if you have a Sky account back ‘home’ Good luck. Seamus. Disconnect from the proxy/VPN service you may be logged into. Login into OverPlay account and click on “Profile” tab and click on “Add a New Payment Method”. Click on “Subscriptions” tab & make the payment. I’ve found their SmartDNS service very good for streaming films etc. You can check with SmartDNS trial BEFORE subscribing to their services. If any issue occurs, submit a ticket to support@overplay.ne. I have found their customer support very good. Strange you were unable to log on and pay the sub. Meanwhile I’ve arrived in the Costa Del Sol and have just watched to-nights ‘The Voice’ on the RTE player. No problems. A few weeks ago in Central Florida I watched the Late Late LIVE and there were no issues. The OverPlay SmartDns is very good. Meanwhile I hope HMA works out for you – is it HMA? I have exactly the same problem with Overplay and have done all u suggested and been on to customer service which was very efficient but still no joy! Am in southern spain and want bbc’s rte 1 ans =d 2 and tv3. downloaded demo of identity cloak but not showing in task bar and not working!! wtf?? Aiveen, do you have the SmartDNS enabled ? You need to change your DNS settings either on your computer or on your router (we will try to post some info about these settings in the coming days). – None of the proxy companies you link to seem to be offering RTE any more. They all seem to offer exactly what I can already get in Britain. Can you confirm or correct? Overplay also offer you a 30 day money back guarantee if you can’t get it to work adequately. Hi Monica, you will just need a computer & an internet connection. RTE doesn’t block the LateLate outside of Ireland at all. It’s free to view both live & on repeat as far as I know. Have a great holiday ! I signed up to NTV in Spain late last year using a MAG250 STB (Set Top Box). I have an internet speed of between 2.0 (peak time at night) and 2.5mbps other times. This should be ok according to The Sky Doctor – they installed the STB . The buffering and freezing of pictures, regardless of what channel I was watching, resulted in a very frustrating experience. More often than not, especially while watching sports, I had to connect my laptop via HDMI cable to the TV and using OverPlay Smart DNS VPN I always had a great experience. I brought the MAG STB back to Ireland where I have a 7mbps download speed. The results unfortunately were similar to my experience in Spain. One can log on to NTV.mx website and log on for free to BBC1 – thus avoiding using the MAG STB. I have done this frequently since I came home to Ireland and the freezing/buffering continues. For comparison I log on to SkyGo, using my laptop, and I can watch their programmes without any problems 99% of the time. The NTV parent company, as far as I know, is based in Russia. Their online chat is based in Northern Cyprus. I also got a replacement STB from the Spanish supplier and there was no improvement. My belief is the problem is primarily with the service from NTV. Log on to their home page and one will see a litany of problems on a continuing basis. When I am next back in Spain I am going to try a different supplier of programmes – however not all of them carry the Irish stations. I’m hoping to watch my Irish Sky Go account in the UK…are there any updates on which is the best service to go with? Does RTE work with anything? I’m going to be working with 4G on my phone, then tethered to my laptop…any advice on this method of accessing the internet? Lucy : I would try OverPlay and see how you get on. You should be careful that you don’t go over the data limit on your phone though. RTE works with Overplay right now. I have a free trail of overplay, in the hope that I can watch the GAA Sunday match in the UK via my android tablet. I wanted to set up my google chromecast to cast it onto the big Tv screen, however overplay support say that it not possible as googlechrome will only use the primary google settings. I can change the DNS manually on my tablet to use another VPN provider (unblock-us) and use that to watch any region netflix so I can’t understand why I can’t do the same with overplay? Any help would be appreciated. FYI: Overplay does not work anymore for RTE. Been using it over the last year but now it doesn’t work. Seems like RTE have blacklisted it….. Thanks for the heads up Eliott, yes it appears to be somehow blocked, we will investigate this a bit further to see if this is temporary or something more permanent. GAAGO is not only terrible, unable to stream over 260p and even then will buffer at least 50% of the time. They’ve refunded all 6 matches I’ve attempted to watch so they know they have a problem but the greed and incompetence of the people behind it. The arrogance and incompetence of GAAGO and RTE is astounding! Heartbreaking as I’ve no way to watch any GAA that doesn’t make it to YouTube, so no Camogie, no HD Club matches. GAAGO is a step back from an already loathed organization(due to greed) among the Irish that I know. Despised! Rightfully so, the bunch of sellout… and to SKY of all stations. Shoulda made a deal with the country that LIKES you, isn’t occupying 6 of your counties, and loves hurling! Boycott or hack GAAGO for the good of GG. I have been trying to find out what’s going on as I have had no response from overplay other than “we are working on it”. Please see latest comment around rte and also slow resolution of local US domains..
20:52Keith Brown: May I know is the issue with specific to only RTE or all other web sites? 20:53Keith Brown: We are getting similar issues from some of our customers on this issue hence we have escalated this issue to our Level 2 team to look into this. 20:54Keith Brown: May I know your best email to reach you, so that I will update regarding this issue. I live in Australia can you please tell me have I any options to see the Irish channels, UK channels and if possible sky sports. Hi Paul, Irish channels, right now TV3 works, but RTE is mostly blocked. In the UK, BBC & ITV works. I don’t know if Sky Sports works. I’m living in US and don’t have any apple products. I’m considering getting apple TV if I can install the Rte International App. Do you know will it work on its own or do I have to have an apple product like an I-Pad and then stream to my TV via the Apple TV box? RTÉ now blocks all the VPNs / SmartDNS services as far as I know.